Arno just published his second book with Pardeep Singh Kaleka and Robin Gaby Fisher. The two have a non-profit called Serve 2 Unite. 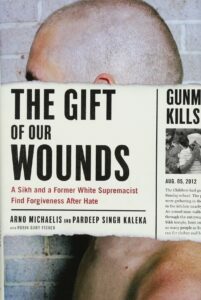 The latest book is called The Gift of our Wounds: A Sikh and a Former White Supremacist Find Forgiveness After Hate. It’s about his story intertwined with Pardeep’s story, a first generation immigrant from Punjab, India. Pardeep’s father, Satwant Singh Kaleka was the head of the Sikh Temple in Wisconsin. The hate crime that took Pardeep’s father’s life on August 5th, 2012, along with five other people, was committed by a guy from the gang that Arno helped to start back in the late ’80s when he was a neo-Nazi skinhead. As Arno discusses in our interview, it is important to guide conversations through personal experience. Listen. Show compassion and above all, be kind and a friend. If we do this, we can combat the violence and help to change the current hateful climate in our nation. Since President Trump has taken office, there has been a constant wave of violence, hatred, and extremism engulfing our country according to the Southern Poverty Law Center. Yale forensic psychiatrist Brandy Lee has made a case for the dangerousness of Donald Trump. 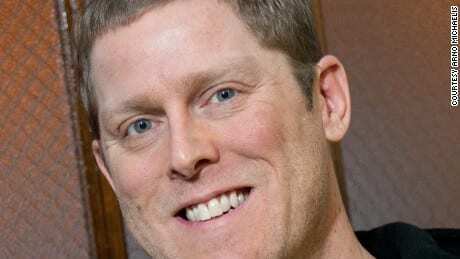 His past patterns of violence, along with personality traits predisposing to violence, raised alarms for thousands of mental health professionals from around the world, who together formed the World Mental Health Coalition. Trump’s xenophobic rhetoric has “gone beyond the political world and injected itself into everyday life — and, in many instances across dozens of states, in very violent ways.” This map shows documented instances where President-elect Donald Trump, his supporters, or his staff have harassed or attacked Latinos, immigrants, Muslim-American, African-Americans, and other minority and marginalized groups. On October 27, 2018, eleven innocent Jews were killed by a hateful man that shot up the Tree of Life Synagogue in Pittsburgh, PA. Many of his followers use the Nazi salute to show support for Trump. After the election, a video surfaced showing white nationalists marking Trump’s win with the Nazi salute. Richard Spencer, an alt-right leader, has publically supported and praised Trump. I am reading a highly researched and respected book, Network Propaganda: Manipulation, Disinformation, and Radicalization in American Politics. While it is a $99 book, there is a free online edition provided by Oxford University Press, once you create a free log in. This book analyzes the last few years of online and mainline media propaganda. Russia plays the main significant role according to their research. The authors discuss how stories are generated and by whom and how these stories were repeated and amplified, often through Breitbart, Fox News and to other media, largely with the help of the tweets of the President. It is important to say that Donald Trump has at times issued statements condemning hate and violence. That is good, but he has also retweeted and issued many messages seen as dog whistles to hate groups, including White Nationalists, conspiracy theory believers, QAnon, climate instability deniers, and others who either promote hate, or deny science and rule of law, the importance of a free and vigorous press, and checks and balances that are demanded for a healthy American society. Authoritarians who are narcissists want to have people thinking about them. They wish to capture people’s attention so that they can manipulate people. What they fear is that people will not pay attention to them. What they fear is that people will not think them important. What we want to do is promote ex-members who can talk about how lousy it is to be part of this and be role models for being a person of conscience and love. Former members of extremist groups who have taken the time to educate themselves and heal themselves are our greatest asset to combat mind controllers worldwide.